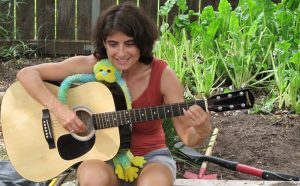 Lila Haham has created and been the director and lead teacher of Los Amiguitos since 2012. She has over 20 years teaching experience. She has taught preschoolers, school aged children, teenagers, adults and seniors. Teachings include French and Spanish instruction as well as English as a foreign language, teacher training and counseling, developing curriculum for teaching Spanish as a second language for preschoolers, head of education project, and teaching classes in alternative education settings from pre-schoolers to 3rd graders. 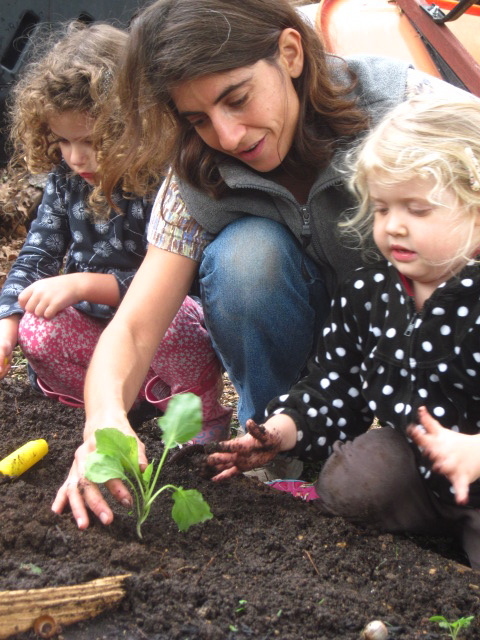 She has progressively integrated the importance of appreciating, learning about and caring for the environment as an important part of her teaching, training and mentoring. 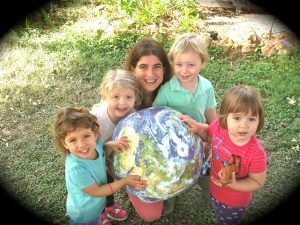 Lila has taught in France, United States, Lebanon, Ecuador, and in Guatemala to populations from varied socio-economical, educational, cultural and linguistic background. Previous preschool-Kinder-2nd grade experiences include teaching English to French preschoolers, training teachers in Guatemala on how to teach Spanish as a foreign language through books and acting, developing a curriculum guide for multicultural/multilingual Mayan kindergartens in Guatemala, working as French pre-k teacher as well as a K-2nd grade teacher in an alternative school, and creating and leading two Spanish and French immersion home-based schools. 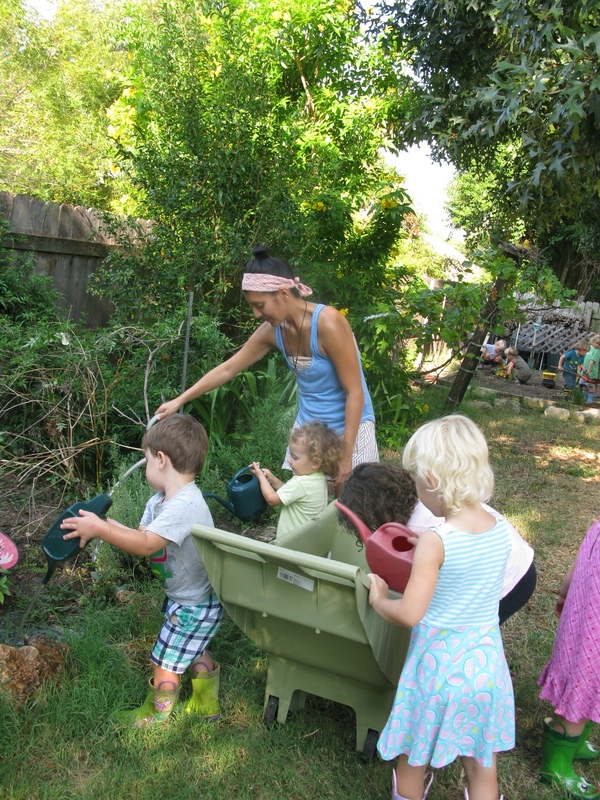 Professional development in: Environmental and Sustainable Education, Drama for School, Storytelling techniques, Implementing educational projects, Conscious Discipline, and learning strategies among others. Publications and formal presentations on environmental and sustainable education, bilingual and multicultural education, and teaching Spanish as a second language. Trilingual (French, English, Spanish) and has also studied Russian, Hebrew, Arabic, Mayan languages, and Latin. Avid hiker, guitar player, swimmer, dancer and traveler. Also enjoys Tae-KwonDo, Krav Maga, running with her dog, playing soccer, camping, listening to varied styles of music, being silly and continuously learning new skills and discovering. I would like to recommend Lila Haham as an extremely talented trilingual teacher. Lila is creative, flexible and energetic, and she uses her talents to integrate fun and creativity into learning for the children. She encourages, supports, and gives children the tools to become self-confident, independent, all the while integrating and adapting the different levels of language and math skills for the different age groups. Lila communicates and maintains contact with parents to keep them apprised of weekly plans and those periodic field trips, which are scheduled around the theme-based curriculum. Lila is highly motivated, responsible, dependable, and trust-worthy. I highly recommend her to you. This is my son’s second year at Los Amiguitos and I can’t say enough good things. He started off very shy and in his own world, and he has since blossomed socially and loves going to school every day. 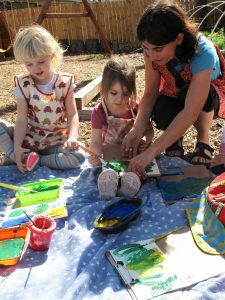 The head teacher Lila has a very special way with children and is full of amazing ideas for how to engage them and let them explore and have fun and learn together and independently. We love being a part of this community. Lila and the Amiguitos community are outstanding. My son has learned so much Spanish, and the environment is one of joy and wonder and respect. He attended preschool there for two years and now, as a first grader, he attends their after-school program to maintain his Spanish. I love that much of their time is spent outside tending the vegetable garden or doing some creative science project or art project. I also love the nurturing home environment as well as the beautiful Montessori classroom. If I were a kid, I would want to spend my time at Los Amiguitos. My two girls loved the fact that Lila really knew how to be with them in a playful way. I am not sure they even realized how much they learned during their time with her because it all seemed like so much fun! I really enjoyed the feeling that when I left my girls with Lila in the mornings for school, that they were with someone I trusted. I also knew that they were in a learning environment that was structured while still being fun, flexible while still following a curriculum, and amazingly loving. 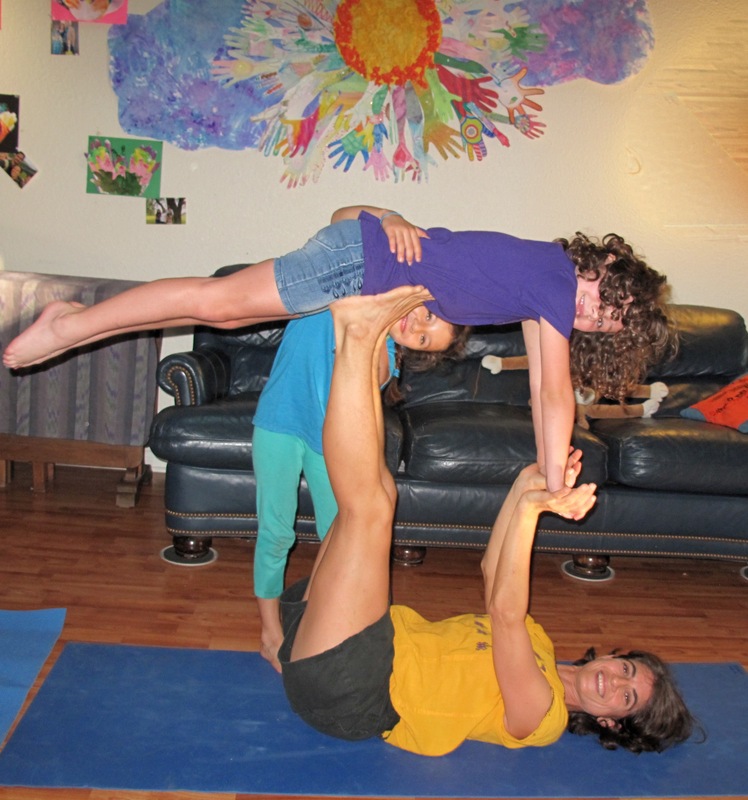 It is my great pleasure to highly recommend Lila Haham as a wonderful teacher and guide for young children. Lila is highly intelligent, caring, compassionate, and has a natural gift for working with children. She is amazing in her creative uses of drama, puppets and interactive lessons that capture students’ imaginations! On a personal level, she is friendly, outgoing, and dependable, and cares deeply for children. Lila has the intellect, perseverance and initiative that it takes to be a stellar educator and all-around amazing person. Lila has been a wonderful teacher for my daughter. Creative and engaging, Lila is able to grab their attention and make learning so much fun. My daughter would come home excited to share stories about one thing or another that they were working on. She was able to develop a great teamwork / collaborative environment for the class and my daughter’s Spanish language skills also improved. She also has a rare talent for getting kids to follow the rules, and enjoy it. Two thumbs up! Lila Haham is an amazing teacher, full of energy and creativity that she harnesses to captivate the minds of children. As her student for 4 years, my daughter learned how to read, write and do math and she improved her Spanish skill immensely. Lila makes learning fun and accessible! I highly recommend Lila Haham. During the time she worked with ESF in Guatemala as a pedagogical advisor, she always performed her job effectively, seriously, with creativity and dynamism. She worked with the improvement of the teaching of Spanish as a second language and in preschool program. She has a big adaptation capacity and she is a good team member. Lila has a great talent for connecting with children, drawing them into a story with her animated voice and gestures so that they understand the plot and characters as they learn the new vocabulary in Spanish and French. Native speakers also appreciated the way Lila’s stories and songs engaged their children. It has been a pleasure to work with Lila. She is a masterful storyteller, combining excellent story content with an inviting and comprehensible style of presentation. Story time attendees adored Lila and appreciated her talent. Always trustworthy regarding time and materials, always friendly and forthright, Lila quickly became a favorite with BookKids employees as well. I highly recommend Lila! Lila is just wonderful with kids. She has a seemingly limitless amount of energy and patience with the very young children, and truly enjoys working with children in their most formative years. She fills the classrooms with art, music, singing, dance and exploratory learning projects and while doing so maintains control over the classroom in such a gentle, fun-loving, yet down-to-earth and no-nonsense way that she gains respect and love from the children. She tracks the emotional, mental and fine plus gross motor skill development of each child and effectively involves the parents by communicating what she observes and working together to ensure the child blossoms to his or her full potential while in her care. Lila has truly brought child guidance and development to the level of an art form. I wholeheartedly endorse Lila Haham as an outstanding instructor. My daughter Celeste has studied with Lila for years and still maintains enthusiastic affections for her. Some aspects of her teaching which are immediately obvious develop from the rapport and understanding she creates with children. They are a strong foundation for engaged learning and understanding. Lila is animated and enthusiastic, two traits that can be hard to maintain working with a room full of children. Yet she remains the most energetic teacher I’ve witnessed. Lila’s command of many languages and comfortable fluency in French, English & Spanish provide the intellectual ladder that a child can climb with confidence to achieve understanding of any of these. She has a profound intuition for communicating at the right level which stretches the boundaries of their learning with encouragement leaving the children exhilarated with their new knowledge and understanding. 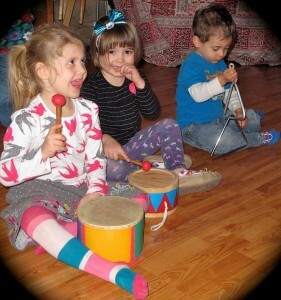 Countless times Celeste has arrived at home with command of new words or a new song eager to share her learning. Lila’s empathy and intuition seem strongly evident in her classroom control. She is an adept master at redirecting behaviors which work against a good learning environment and helping children understand how to socialize effectively. In short, Lila is a very effective teacher and I am absolutely comfortable recommending her to anyone. Natalia likes to view her life as an endless array of opportunities presenting themselves as they help shape her journey through life, and none of this would be possible if it weren’t for her ability to be bilingual! She was born in Argentina and raised in the United States and Saudi Arabia. She is a native speaker in Spanish and English, and has spent several years studying French. She has a degree in Holistic Psychology from Lesley University and has been working with children and adults teaching for a number of years. Thanks to Natalia’s somewhat nomadic lifestyle she was brought up in, she has a gift for connecting and communicating with people of different cultures or languages, so teaching came very naturally to her. Natalia spent three years living in Spain, teaching English to students from kinder to high school teens. Natalia has spent many years studying dance at a pre-professional level, and has spent time working with children and adolescents teaching dance, as well as teaching dance at the university level. She is also a certified massage therapist and yoga teacher, and is passionate about learning all there is to know about the healing arts. She has worked in massage therapy institutes as a teaching assistant for many years, and has worked around the Austin area providing bilingual yoga classes to underprivileged communities. Thanks to her experience in the holistic world and her world travel, Natalia aims to combine her cultivated compassion towards people and children, creating a space where children’s safety and needs are respected, along with a more global perspective on learning, which includes lots of creativity and games. With her students in Spain, there was always music, singing, and drama based activities thrown in the mix. She believes learning should always be fun, and when we’re engaged because we’re having fun, the learning process happens on its own. With all her rich life experience working with children and adults, it is her life’s work to give and to teach. Natalia understands firsthand the value that learning a new language can bring, thanks to her life experience living around the world and growing up bilingual, and she sincerely hopes to shed this bit of light onto her students. 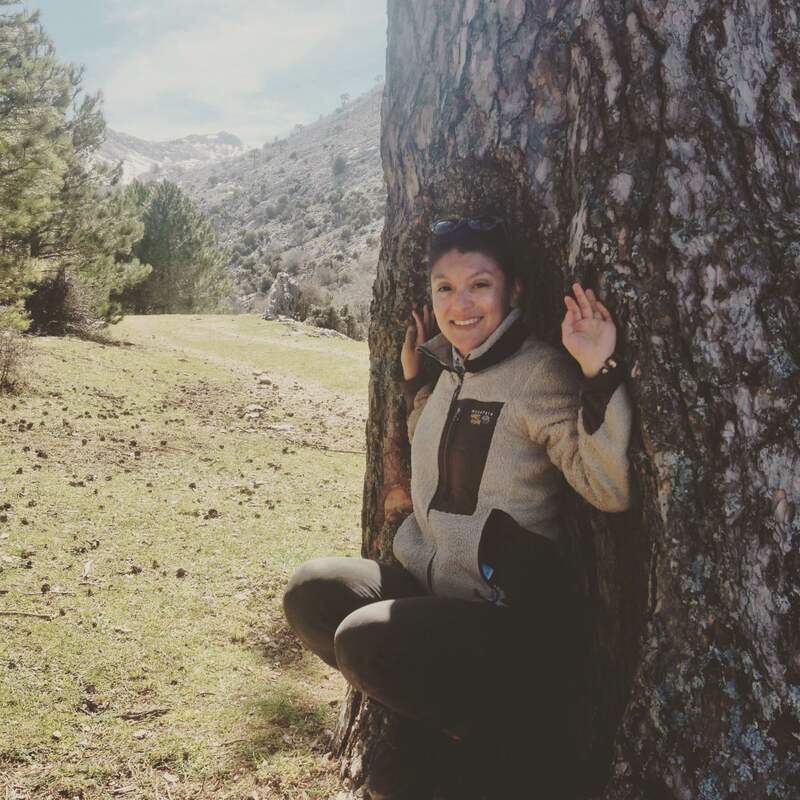 Besides globetrotting and the healing arts, Natalia’s interests are also in spending time in nature, hiking, nutrition, cooking, and is a huge fan of discovering new music. She is really excited to be back in this special and creative city! Natalia started working at Los Amiguitos in 2016 as an assistant and has now acquired experience and earned her CDA (Child Development Associate).